The Hub Coffee Roasters’ mission is to connect our customers, employees, and community together with an exhilarating coffee experience that will provide a thirst for knowledge and an appreciation for unparalleled customer service, all while maintaining our integrity and unbending ethical standards. From the beginning it was all about coffee and community. Since June of 2009 our little garage coffee bar, located at 32 Cheney St. in what is now Midtown Reno, had become a common-grounds for creative, passionate, and friendly people, local or foreign­—a hub, if you will. And a coffee, rather simple in its preparation, was the grease on the bearings. Fast-forward 7 years and, wow!, has our community grown. What was once Hub Coffee Company has evolved into Hub Coffee Roasters. We’ve been in the roasting game now since 2012, preparing tiny batch by tiny batch in a small one pound sample roaster, eventually moving into the big leagues with our San Franciscan SF-25 roaster. In June of 2013, we opened our second retail location along the Truckee River just west of downtown Reno, at 727 Riverside Dr, which we expanded in September 2016. That was a big year for us, as we also opened our new UNR location in November 2016. As our company continues to grow, we’ve had to say goodbye to our original Cheney location, but 32 Cheney Street is now Blue Whale Coffee Co., where our good friend Joe Marino will continue brewing up fabulous Hub coffees. Where new hubs have emerged, so have the wonderful customers who have helped us every step of the way. 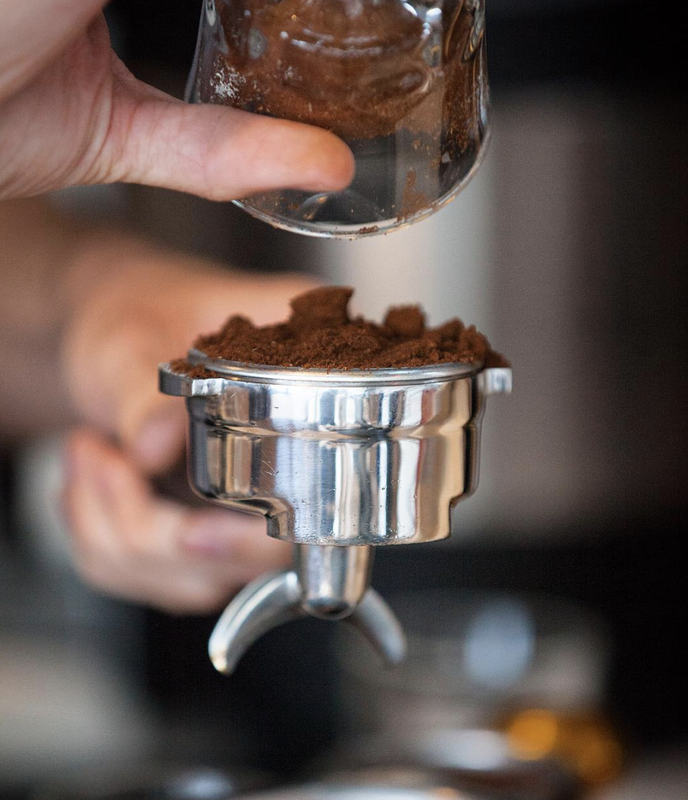 Our immediate Hub family, made up of the baristas behind the bar that work their magic with portafilter in hand, has also grown. We’re proud to employ a group of nearly twenty passionate men and women that love coffee just as much as they love our community. We have also taken our first steps into coffee sourcing. In 2014 we traveled to Guatemala and Colombia to meet various coffee producers, 2015 saw us visiting Mexico and making a return trip to Guatemala, and in 2016 we found ourselves in Brazil as well as created our first direct trade partnership in Colombia with ClearPath Coffees. The result of these exciting ventures has been delicious and inspiring, as every shipment of beans comes with a personal story from the communities that form the heart of the coffee industry. We’ve come a long way from three employees in a 400 sq. foot garage! Visit us at one of our retail locations. Be it a sweet and creamy cappuccino or a fine and delicate tea, we’d love to show you how Hub Coffee Roasters translates to your cup.